Currently, Chambumo Gyeong does not do this. It covers True Parents’ life course beginning from their lineage and birth, with little regard for the fact that True Father is the Second Coming of Christ. Rather, it leaves that task to Exposition of the Divine Principle. Since Chambumo Gyeong is mainly an internal book for Family Federation members who have all studied the Divine Principle, there was no thought that it needed to cover this material. Yet I envision that the future scripture of True Parents should stand on its own and give a complete picture of their life and mission. The Bible’s presentation of Jesus offers lessons about what should be included in the content of the scripture of True Parents. If the testimony to Jesus includes the record of the providence of restoration in the history of Israel, and its prophecies, that was the foundation for Jesus’ coming, should not the scripture of True Parents include a record of God’s foundation in Christianity for their coming? Elucidating this historical background would also explain why Christianity did not receive Rev. Moon as the Lord of the Second Advent, just as the people of Israel did not receive Jesus as their Messiah. The people of Israel misunderstood Jesus because they had erroneous expectations about him, and the same situation repeated itself with regard to the Returning Lord in his day. The current Chambumo Gyeong presents a theological approach to True Parents’ identity and mission that focuses on their position as the ancestors of humankind and their mission to give humankind rebirth as God’s true children. This is surely their real significance in this age, the Cheon Il Guk era, when the toil of the providence of restoration has been completed. Yet, only to present True Parents that way would be like the New Testament presenting Jesus only according to his significance to Christians who know him as the Savior through Paul’s letters, while leaving out the background of Old Testament prophecy and Israel’s messianic hope. The New Testament does not do that, and neither should the scripture of True Parents. To present the True Parents properly, it will not do to present their life and ministry apart from their position in Christianity as the Messiah, Savior, and Lord of the Second Advent. That would be to present True Parents as springing up from nowhere, when in fact they came on the foundation of Jesus’ promise to return, Christian hopes for Jesus’ return, and the labors of faithful Christians to prepare for his return. In fact, True Father’s root is Jesus. His ancestors are Adam, Noah, Abraham, Jacob, Moses, and Jesus. Those who laid the foundation for his birth were believers, Jews and Christians, who attended God and sacrificed for 4,000 years. Likewise, True Mother’s root includes the matriarchs of Israel and the good women of Christian faith who laid the foundation for 4,000 years in order that she could be born. Behind all of them is God, who called countless saints to His service and grieved at the suffering they had to undergo for the sake of the Will. The scripture of True Parents, I believe, should present this background. The Bible has a huge problem in that it lacks any content about the providential foundation for True Mother. The same is true of Exposition of the Divine Principle. In fact, currently there is no textbook in the Unification Movement that discusses the historical background of True Mother in providential history. There was no Christian expectation about True Mother, or even that Jesus would need to take a bride. Nevertheless, True Mother appeared based on God’s strivings to establish a woman who could restore the position of Eve. Therefore, we should elucidate even the traces of God’s effort for that purpose. These days, when many Christians are interested in the femininity of God, there would be much interest in learning this history. Elucidating it will give valuable context to the advent of True Mother as the only begotten Daughter. The Principle describes the Old Testament as the course of God’s portion of responsibility to set up a model for Jesus and the Holy Spirit (i.e., True Mother) to fulfill in their day. Specifically, the courses of Jacob and Moses are singled out as the model courses for the Messiah to fulfill. Yet, the Old Testament pays little attention to the role or position of the women in Jacob’s course or Moses’ course. This patriarchal bias in the Bible has become a burden in our own day, contributing to people’s lack of appreciation and respect for True Mother. As there was no Jewish expectation in Jesus’ day that a female counterpart would accompany the Messiah, there was also no Christian expectation of a woman with that status at the time of the Second Advent. How can a scripture of True Parents explain the providential foundation for True Mother alongside that of True Father, when that foundation left almost no traces in history? The absence of this foundation is truly a sorrowful matter. We have True Mother’s statements that the entire 2,000 years of Christianity was preparation for her coming as the Bride of the Lord and the only begotten Daughter. We have True Parents’ words giving various theological explanations for the necessity of True Mother. Perhaps also we could develop a description of the rising status of women in the world in the 20th century as God’s preparation of a new foundation for the arrival of True Mother. The position of True Mother should figure prominently into a presentation of True Father as the Lord of the Second Advent. After all, the center of the mission of Jesus that the Lord of the Second Advent came to complete was to receive his Bride at the Marriage Feast of the Lamb and establish the True Family. The presentation of True Father as the Lord of the Second Advent will certainly include his mission to find True Mother; and in that context, God’s efforts in the Old Testament Era and New Testament Era to prepare for True Mother can be presented as well. 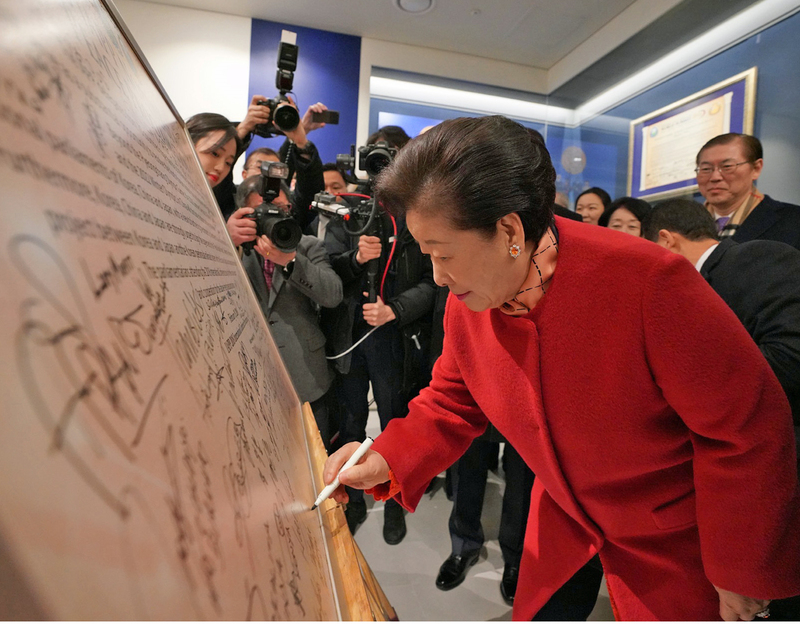 Mrs. Hak Ja Han Moon at the launching of the Cheon Bo Won Genealogy Center on February 17, 2019. Third, it is necessary to investigate the issue of endings. The four Gospels each have different endings, and the Old Testament can be construed as having several different endings. In this regard, the biblical record was edited and re-edited several times. Based on those models, we can ask the question: what is the best way to end the scripture about True Parents? Should it end at True Father’s seonghwa? At True Mother’s seonghwa? At the hoped-for victory of national restoration at 2020? Or when? This issue is worth our consideration. In this light, the current scripture of True Parents has some unresolved issues regarding its ending. First, it does not end with a clear victory, and Foundation Day is poorly attested to. The penultimate chapter on True Parents’ lifestyle probably belongs somewhere in the middle of the book; it is not fitting for a rousing conclusion. The final chapter on the life of faith of citizens of Cheon Il Guk is not about True Parents, hence it better belongs in the Cheon Seong Gyeong, which is more pastorally oriented. All in all, the ending chapter is anticlimactic. It lacks the spirit of hope or a sense of finality. To end the scripture with victory, I suggest the ending be written after 2020, with words about the successful completion of national restoration. The current scripture ends with True Father’s seonghwa while True Mother is still alive. It lacks True Mother’s victorious course to 2020, including global rallies, such as in Africa, where she demonstrates her power and authority before the world. At minimum, the final chapter needs to cover True Mother’s post-Foundation Day ministry. Perhaps it could include True Mother’s seonghwa as well. The form of the Chambumo Gyeong published in 2015 is not fixed for all time; how could it be when True Mother is still working on earth and striving to fulfill even more of God’s Will? As with the Bible, the scripture of True Parents will no doubt be revised several more times before it reaches its final form. It is inevitable that in its final form the scripture of True Parents will have a victorious ending, giving them proper recognition and praise for their substantial victories. I offer two recommendations for the scripture of True Parents, specifically for the beginning and end. First, I propose a new opening chapter centered on True Father’s identity as the Second Coming of Christ. This issue, so full of detail relating to the Bible and Christian belief, deserves considerable development in a chapter of its own. It should begin with True Father’s encounter with Jesus and his call to fulfill Jesus’ mission. It should explain the true purposes of Jesus’ original mission, which Jesus taught True Father and asked him to complete on his behalf. It should cover in detail Father’s considerable efforts to fulfill the mission of Jesus, to overcome the opposition by the established churches, and finally his victory winning the support of Christian leaders. 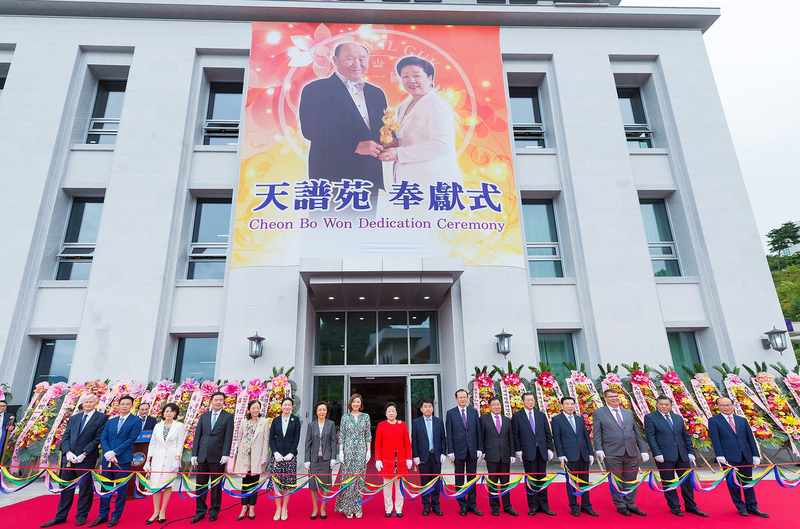 Photo at top: The Cheon Bo Won Genealogy Center Dedication Ceremony on August 28, 2018. An excellent and stimulating article. Interestingly, in the New ERA book, Hermeneutics and the Divine Principle, two Christian theologians state that they concluded from the Divine Principle that the Lord of the Second Advent should be a woman. Their discussion was short, but I believe they reached their conclusion based on the doctrine of God’s dual characteristics. The ultimate scripture of True Parents should present them as fulfilling the hopes of all religions. Eastern traditions might provide a stronger historical context for the appearance of the Bride. And in Christianity, as Warren Lewis told us, we have Joachim of Fiore’s prophecy of the age of the Holy Spirit. Thank you for your important essay! Many thanks for your effort and testimony, especially about True Mother. A very timely and important task. When True Mother spoke at Cheongpyeong during the opening of the Leader’s Meeting this year, she mentioned about her difficult situation after True Father’s passing. She compared her situation with finding a needle in the desert sand at night with a sandstorm on the horizon ready to move in (what a poetic and dramatic composition). Needless to say that we were the cause of this disaster, ignorant and rebellious against True Mother. True Mother mentioned on several occasions that new wine has to be poured into new wineskins. She lamented over chauvinistic attitudes at the same meeting I attended. Also that Christianity failed to teach about the essence of Jesus — in my understanding about the bride and the ethics that Jesus taught, especially in light of Africa’s history that she witnessed firsthand. Is the New Testament really that attractive? Those who find delight in it use it also to argue against True Parents (Rev. 22:19, etc.). When you watch the first movies about Jesus from the 1950’s it is so clear that the NT is a patchwork with a lot of holes leaving some of its contents to guesswork. I was an admirer of early Christianity until I learned the historical records. It was due to lack of scriptural contents that led to the sharp divisions within the early communities. Jesus words “I am truth” was twisted into “I am right” by dogma hooligans. Early Christian leaders did not hesitate to report a competing theologian with different ideas to the authorities, knowing he would receive severe punishment or death. The infamous Council of Nicaea which decided about the nature of Jesus was guided and decided by Emperor Constantine. The wrath of the Eastern Church towards Rome led to a division that later embraced Islam as an alternate view on Jesus. Today some historians argue that after the acceptance of Christianity the fast expansion was rather attributed to violent elimination of heathendom than by peaceful witnessing. Finally, isn’t it rather the Holy Spirit than the water diet of the NT that moved the hearts of people, infusing the Holy Spirit while studying the word, making it great? Certainly true for me. Isn’t True Mother’s Anthology, especially “May you blossom…” and chapter one of Book One enough for now (unless True Mother orders it)? I understand that I did not touch your main point which is truly honorable and I wish you good luck with it, confident that True Mother will bless your work. Allow me to thank Tyler Hendricks for his online DP presentations. Your words and diagrams are in nice harmony. The best I can find so far. I use it to watch with my DP novices. I understand now when Father mentions our responsibility it is just 0, .01%, thanks to you. Do you have a daughter that could be the speaker? It would even be more attractive and persuasive. Thank you, Rohan. Due praise goes to Dr. Son Dae O, who wrote the script (and recorded the series in Korean). But I take credit for most of the diagrams 🙂 . As to your suggestion, I do have four daughters, and with one of them I’ve had some conversation about making videos. Your comment has energized me on this. We’ll see where it goes! Having watched more of your DP lectures, I notice that you include your hands and arms in a way that creates a symphony. Sometimes the dilemma in a perfect technical setup is that the speaker stays stiff; not so you. Everyone who knows me is aware that I rarely salute, but these lectures are close to being perfect. Thanks again in the name of my audience. Rohan, thank you for your kind words. A major purpose for the founding of Unification Theological Seminary was to provide the historical foundation of the Old Testament and New Testament scriptures to students. Related to that purpose was the mission to educate Christians and other peoples of faith about the Second Coming of Christ, as the fulfillment of biblical history, in the presence and work of True Parents. Therefore, it was important to have a number of professors from different Christian denominations who were able to provide this biblical grounding as well as providing a forum for students and other scholars to dialogue about the emergence of UTS as the seminary founded by True Parents, to unite Christianity as well as embracing other faiths in that Completed Testament mission. I really appreciate that Dr. Wilson has discussed the need for this significant context and meaning. As an early graduate in UTS’s M.Div. program, I was able to take six courses in the Bible from a rabbi, Dutch Reform and Methodist Protestant professors, several courses in Church History from a Church of Christ scholar, two courses in Patristics from a Greek Orthodox scholar, a course in Evangelical Ecumenical Dialogue, a course in Theological Debate Skills, as well as other courses in world religions, interfaith and ministry topics. Courses in Divine Principle, Unification Thought and VOC were encouraged. The Seminary also featured New Era conferences on campus every few months in which major theologians and scholars came to discuss the mission of True Parents and Divine Principle and their relevance to Christianity. He then relates this to us as Christians. We, collectively, are the body who receives the seed of God, which is the Holy Spirit, placed in us as brides of Christ. We are to bear fruits of the Spirit and multiply God’s seed, giving birth to new children of God. Furthermore, we are to take dominion over the creation, leading lives of prosperity on earth. The pastor said this in his Sunday sermon which I attended yesterday, March 17, 2019. This pastor also understands a difference between “Christ,” the blueprint (Greek “logos”) which existed from the beginning of creation, and the person Jesus, who incarnated the Christ. That understanding appears as an important point within the tradition of Christian mystics. Father Richard Rohr, founder of the Center for Action and Contemplation, recently released a new book exactly about this. It is titled The Universal Christ: How a Forgotten Reality Can Change Everything We See, Hope For, and Believe. You raise an extremely important topic and gave a lot of initial thought to a subject that should get a lot of ongoing attention in this Applied Unificationism Blog. Whether there is “a Scripture” (singular) or official original texts plus several gospels, and whether there is a closed or open canon, are all possibilities at this point. It seems that what you are proposing is a “sacred story” that adds to and transforms a providential interpretation of Christian culture and how Christian culture laid a foundation for the appearance of True Parents and a heavenly culture centered on True Family culture. It also seems that there is an unfolding story related to True Mother that is being written in relation to Chinese culture and how a “Hyo Jeong” society may be some fulfillment and transformation of Confucian culture working through True Mother. Then, combined, there would be some sacred global story that describes the unification of Eastern and Western civilizations through True Parents. Then there is the question of central and peripheral providences raised in the Divine Principle. Is there a central providence for True Mother in Chinese civilization that parallels True Father’s appearance in Christian civilization as a central providence? All of these sacred stories — like Christian gospels — follow on the actual life and words of Sun Myung Moon and Hak Ja Han, which will be given some unchanging and eternal status compared to the contextualized accounts and explanations of how they impacted the world and their meaning(s) for those who follow. I would hope that we do not repeat what I believe to be a huge mistake by the Catholic Church and create a closed canon. We realize in retrospect that many gospels by women and people who did not reflect the orthodox view of the church hierarchy were left out. It is likely this was the result of an assertion of power by the hierarchy, and it was followed by “Dark Ages.” Such temptations will no doubt appear in a nascent Unificationist culture, and I hope we can have learned enough and grown enough from the appearance of True Parents to avoid making the same mistakes that always delay and cause a repeat of God’s providence in the world. Although there is no biblical expectation for a female counterpart for the Messiah as you put it, one can assume that in the Last Days the restoration of humankind’s original failure in the Garden of Eden must be restored, so that God’s Ideal of Creation can be brought into fruition. So what happened in the Garden of Eden? In short, Eve fell and Adam failed at the time to restore his intended bride, Eve. Had he done this, we’d be living in a much better world today. So what must the Messiah do when he returns in the Last Days? Nothing other than to raise up a bride out of the fallen world in order to restore Eve’s original failure in the Garden. Such restoration would necessarily include education, conditions, and so forth. Once the failure in the Garden is fully restored, then God’s Ideal of Creation — the Ideal Family centering on a God-centered True Couple — can finally appear. Without such a True Couple modeling True Love for all the world to see, then an Ideal or True Family free from age-old conflict and disunity will never appear. I think it fair to say that Father and Mother were seeking each other, and they found each other. True Father of course was seeking the Bride, and he found her. True Mother was incorporated in her mother’s lifelong search for the Lord of the Second Advent, with this search informed by the prophecies she (and True Mother) had received of her daughter being the prepared Bride. This does not preclude the statement that she was brought to him prepared as a voluntary offering. True Mother once compared herself to Isaac. For us all, to be sought after and found by God is, in our subjective experience, a path of awakening to who we really are and what our responsibility really is. Father said that happened to him at age 10, but the famous turning point was his encounter with Jesus. True Mother, like Mary, keeps all these things in her heart and doesn’t disclose so much. I disagree. True Father and True Mother had the original sin removed from them through their Blessing ceremony in 1960. Thereafter, they had the authority to bless others (and remove their original sin). Everyone whose parents are not blessed is born with original sin. The original sin is removed by participating in the Blessing — the key is participation in the blessing process, the blessing officiator is secondary. Don’t forget that Adam fell too. They both together committed the original sin. Yet often it seems that Eve gets all the blame. So we have the biblical expectation of the Messiah as a male, while his bride is left as an afterthought. Since Adam fell, it took thousands of years for God to raise up a new Adam to appear as Jesus Christ, the only begotten Son. Given all that Jesus had to do to defeat Satan and realize his own full divinity, could he have really taken on the burden to raise up his own bride? Remember that Jesus didn’t create the Holy Spirit; She came down from God. I think God had already prepared a bride for him, just as God prepared True Mother in our day. Now God has raised up Eve, in the person of True Mother, the only begotten Daughter. No matter how much of that may have been True Father’s doing, ultimately since Eve fell, True Mother had to restore Eve by herself fulfilling Eve’s portion of responsibility. Father may have lightened her way by making conditions on her behalf, but he could not do it for her. She owns her victory. That is why she insists on calling herself the only begotten Daughter. Thus, we can have a True Couple in which both sides, Father and Mother, reside in God and are owners of True Love. If Mother were passively raised up and she wasn’t an owner, it wouldn’t be a true couple and their love would not be true love. It is good to consider principles for guiding a person or group who would compose or organize a scripture, should it be decided to have one. I especially applaud your comments on endings. One must not tie the hands of future generations. At this point, we know that by the conclusion of 2020, True Mother will offer to God the entire Providence centering on the True Parents, including their efforts, our efforts, and the efforts of so many others. I think it would be folly to even speculate on what course she may chart from that point on. She did promise that she would “set everything in order.” Perhaps she, herself, will address the question of Scripture. We will, of course, continue doing our best for the offering to be as large as possible. “Applied Unificationism is a place where the future of the Family Federation for World Peace and Unification (FFWPU) may be thoughtfully discussed….” You are doing a great job not only for the U.S. Dr. Wilson and Dr. Hendricks, we are really lucky to have such good brothers like you. Thank God. Acts, Hebrews, etc., testify to the followers (children) of Christ and the Holy Spirit. Should we be preparing a similar instructional and testimonial text as a bridging device for our own (all of humanity) growth and completion? Andrew, thank you for this. Very insightful. I just had one point to add. All the texts we have were written by men. Even where the women are significant it was still a man writing about women. If we need scripture (I am not sure scripture is the right word anymore) dealing with the feminine, it is essential that it is written by women. Women need to see that God speaks to and through women, and that can only be really accomplished if the women write. I like the idea of “The Gospel of the True Parents.” But, what gets me excited is “True Parents, the movie!” We have many still with us to testify to the accuracy of any account portrayed and we have to realize that in years to come movies will be made. What a shame they will be made by folks who never directly attended True Parents. I say skip the book, go directly to the film. With the exception of “The Last Temptation of Christ,” which many find heretical, and Mel Gibson’s “The Passion of the Christ,” which also takes liberties with the Gospel, most film depictions are Hallmark greeting card versions of Jesus’ life. Good comment. Skipping over the possible reasons for that being the case, my view is that the first step is the presentation of True Parents’ life as a novel, or a series of novels. This (if well done) would give a screenwriter a foundation to create a proper movie. “The Last Temptation of Christ” was an adaptation of a novel. True Father’s identity as the Second Coming of Jesus Christ will continue to relegate the Unification Movement as a Christian religion. We need a scripture that testifies to True Parents as the culmination of the hopes of all world religions (a few sentences currently in Divine Principle are inadequate). How can we tell a Hindu, Muslim, etc., that True Mother is the “Begotten daughter of God”? We already have the Divine Principle telling us that True Parents are the second coming of Jesus/Holy Spirit — thus making the Divine Principle difficult to digest by anyone who is not a Christian. Let’s move forward and create scriptures that testify to True Parents as Universal True Parents. Thank you for this project and all the great input from other readers. I look forward to our movement moving its level up to help this world. The brilliance of the Gospels is that they are primarily narrative stories. They included plenty of quotes from Jesus, including parables, short sayings, prayers, and even what is called a “sermon,” although in my opinion it was in fact a collection of sayings. We have a great wealth of this material already, far more than the Gospel writers had. What’s missing is the narrative. People who are inspired to write such works will arise in due course, IMO. Personally, I don’t think it should come from the top down, but should bubble up from the bottom. The cream will naturally rise to the top. 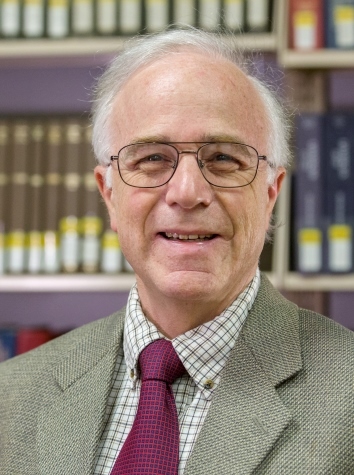 In terms of Dr. Wilson’s proposals, I favor the approach of the synoptic Gospels, which proceed chronologically, as opposed to the Gospel of John, which starts with a theological proposition identifying Jesus as the Word, the incarnation of God, the light of the world, etc. So Dr. Wilson’s first proposals would not be the way I would proceed. I’d do it more like a novel, probably starting with TF’s birth, and bringing in TM’s course as a parallel plot at the appropriate point. I’d weave in important quotes, prayers and interactions along the way as “teaching moments.” But like I said, I hope several people will attempt the project. Let a hundred flowers bloom and let’s see which ones people would want to read. You are right on. And each of us is cream that has the potential to rise to the top. I’m thinking of those members who have written memoirs, but we would want these to focus on direct experiences with Father and Mother. The Synoptics, and much of John, are memoirs. Could have been produced by disciples and friends gathering and telling stories — “Remember when the teachers came up to Jesus and asked him about divorce? And then, what did Jesus say? Oh yes, he said Moses told us we could do it because of the hardness of our hearts, but in the beginning it was not so. Unlike the disciples, we have videos and transcripts, but the personal level is most important. Every story needs a storyteller. Dr. Wilson, as you well know, TM said that we should no longer study the Bible, DP, or the Completed Testament Age. meaning all these intellectual disciplines belong to the past. She added that there is too much to do to focus on what went before. Therefore, what is the value of our speculating about what should be in the Bible that attests to TP? If you agree with TM, then surely there is no need for theology schools or theology degrees either. Thanks for this. I concur. Who better to start a formula, or outline for the TP Bible than those who are here now and are living witnesses to God’s and TP’s history. I just returned from the DP Workshop in IPEC. Rev. Kashi and Rev. Nakamura have it all layed out putting it on display for those attending. Personally, I came away with a renewed committment to TM. The lecturers made the past 43 years flash before my eyes. The history of God and TP is our history as well. In our own way, we are providential people. I am 32,000 words into my Book of Fox. So, which style of writing will the TP Bible be written? The Bible’s parables and symbols produced 400 denominations of Christianity. For good reason? Maybe. When TP Bible is created, I suggest your style of writing be the standard..at least the English version.